The Annual General Assembly (AGA) 2018 took place in Panama on 5 May 2018. Mr Caude welcomed all participants in Panama City and he thanked the Panamanian Delegation of PIANC for hosting this year’s AGA. The PIANC President also especially welcomed the new First Delegate of PIANC USA, Mr Rickey D. James, as well as the new First Delegate from South Korea, Mr Bumgou Kang. 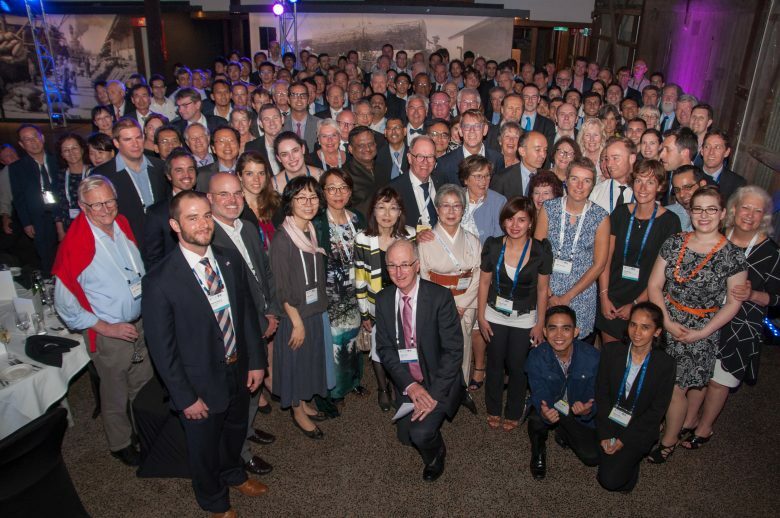 On Monday 19 June 2017, the AGA meeting took place in the Hilton Hotel, gathering some 90 PIANC Delegates from all over the world. First Delegate of PIANC Australia, Mr Neil Lawson, welcomed the participants and he thanked them all for having travelled all the way to Australia in order to make this another successful AGA meeting. Mr Chris Boland (CEO of Ports North), then took the floor, as to welcome the participants to the city of Cairns and to open the meeting. 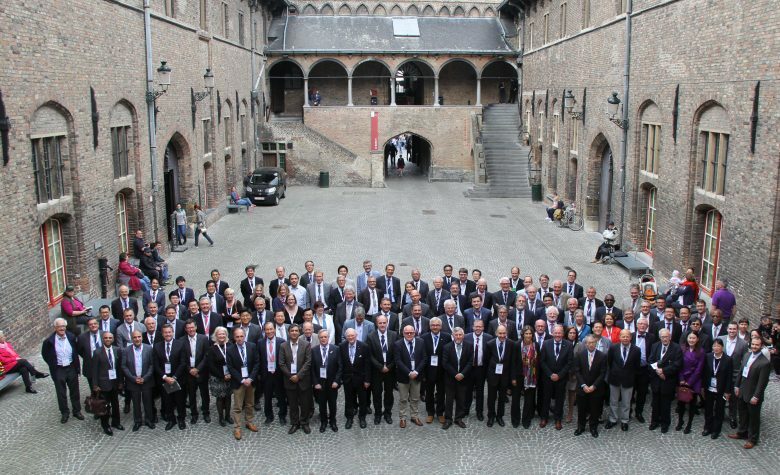 On Wednesday May 18, 2016, the marvellous medieval Cloth Hall and Belfry of Bruges were the splendid meeting place for the 116 AGA Delegates, representing 24 PIANC Qualifying Members worldwide. Apart from the traditional items during the AGA, Ms Jo-Ellen Darcy signed the Memorandum of Understanding (MoU) of the PIANC-SMART Rivers 2017 Conference in Pittsburgh, USA. Moreover, the Italian, Spanish and French representatives signed the MoU of the upcoming editions of the PIANC Mediterranean Days (Med Days). Mr Matthew McCarty received the PIANC De Paepe-Willems Award 2016 with its paper entitled ‘Large Diameter FRP Monopile Systems for Ferry Berths’ and Mr Elio Ciralli (Chairman of RecCom) granted the Marina Excellence Design ‘Jack Nichol’ Award (MEDA) 2016 to Ms Roxie Comstock of Bellingham Marine for the Marina at Keppel Bay in Singapore.